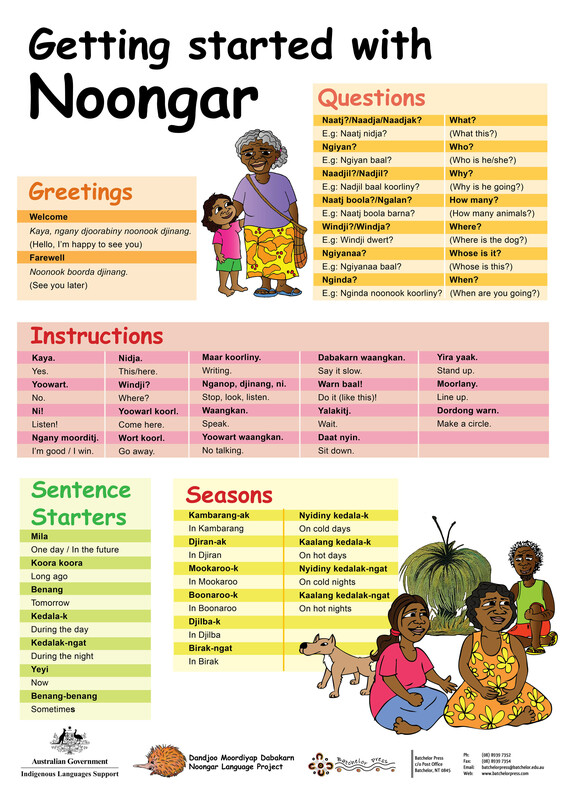 A great poster to help you start talking in Noongar. You can practice saying hello and goodbye, ask questions, give instructions such as 'Come here' or 'Go away' and there are some sentence started to help you with Noongar conversations. The poster is available in a range of sizes, why not get one for every room in your house, school or community centre and start speaking Noongar today. Ngalang Wongi Ngalang Boodja tells eight important dreaming stories belonging to the Noongar Wudjari and Ngatju clans. The stories teach us about the creation of significant sites in the Esperance region, their importance to Wudjari and Ngatu people and why this beautiful country is the way it is today.